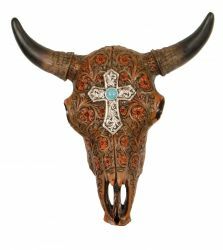 10" W x 10" L Ornate steer skull with floral tooling. 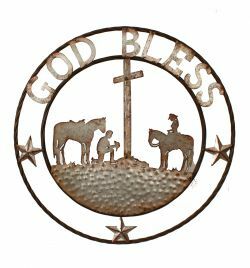 24" "God Bless" metal wall art. 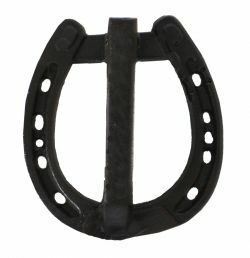 Cast Iron "Live, Laugh, Love" horseshoe wall art. 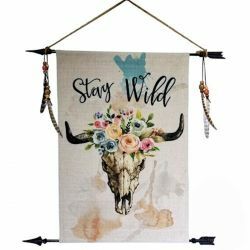 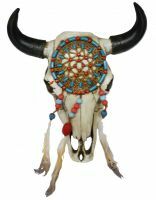 20" W x 12" L Ornate steer skull with turquoise accents. 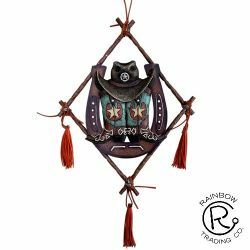 11" W x 12" L Resin skull with turqoise and pink dreamcatcher. 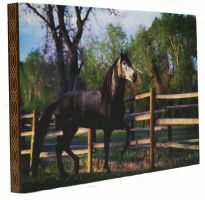 Denver Bryan horse and rider canvas. 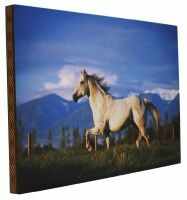 Denver Bryan running horse canvas. 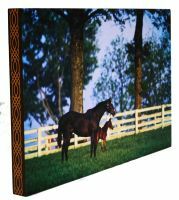 Denver Bryan mare and foal horse canvas. 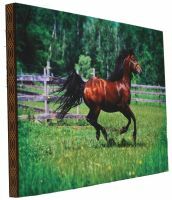 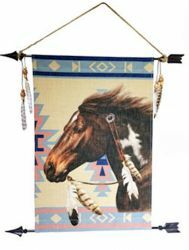 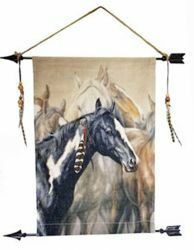 Denver Bryan paint horse print canvas. 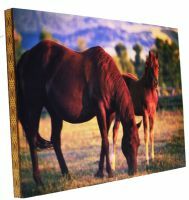 Denver Bryan mare and foal canvas. 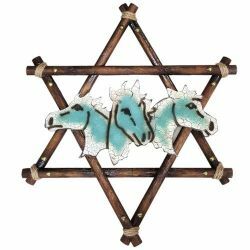 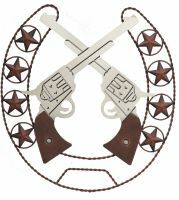 22" Crossed pistols over metal horse shoe wall art. 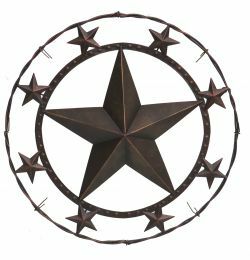 24" Raised star wall art with barbed wire trim. 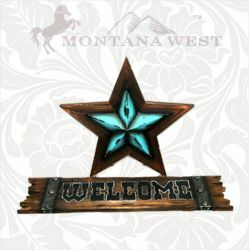 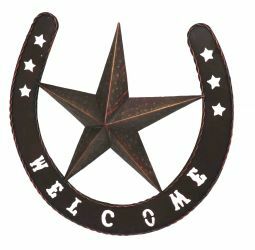 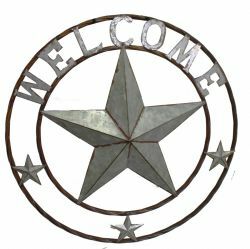 19" X 19" " Welcome" metal horse shoe and raised star.